Is My Broker Related to Bernie Madoff? While Bernie Madoff’s tentacles did not extend to St. Louis, we did see St. Louis brokers sent to jail for stealing client money. 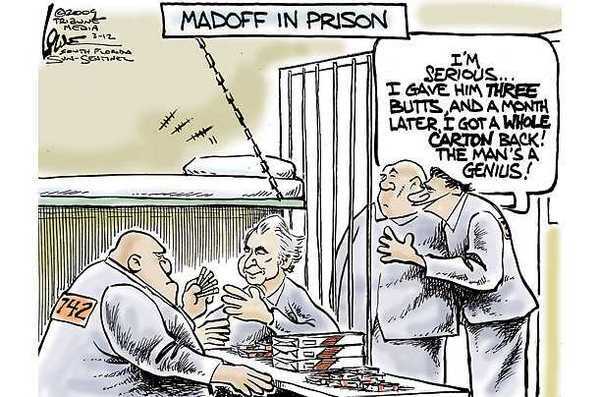 Madoff’s victims included sophisticated investors, foundations, investment firms and even universities. The cases involved brokers employed by some of the most respected brokerage houses in St. Louis. It’s certainly bad enough when your investments lose money. It’s a disaster when your broker steals your money. Often, there is little, if any, recourse. What should I watch out for? First, no respectable broker or financial advisor would ever ask you to make out a check directly to them. In two St. Louis cases, the brokers had their clients write checks directly to them. The victims erroneously thought they were making money as they received phony reports from the broker. Never ever make a check directly to your broker or financial advisor. Second, review your statements to make sure your deposits are properly credited. Immediately, report any discrepancies. Also watch for any unauthorized withdrawals. All monthly brokerage statements include a section called ‘Monthly Activity’ which must include all deposits and withdrawals. Third, report any suspicious requests from your broker immediately to his branch office manager. Be particularly suspicious of any request to ignore or lie to the broker’s supervisor because you’re getting too good a deal on something or for some other reason. Fourth, don’t engage in any side business with your advisor. If he proposes a deal that seems too good to be true it probably is. It is also probably illegal. SEC rules greatly limit any outside dealings with brokers. Most brokerages either prohibit or severly restrict any outside business dealing with clients because of the potential for mischief. Fifth, report any broker who claims to have inside information. It’s illegal to trade on inside information and if he really had some it’s highly unlikely he will be giving it to customers. The vast majority of advisors are honest, hard working professionals simply trying to earn a living. Unfortunately, there are always a few bad apples, and these bad apples are usually very good at winning your trust and confidence. To steal from you they must gain control or access to your money and you must allow it to happen. Licensed broker-dealers are regulated by the Securities & Exchange Commission (SEC), which requires certain firewalls similar to banks to protect investor accounts. If money or securities are stolen out of your account, an entity similar to FDIC insurance called SIPIC provides protection. No such protection exists if the loss did not come out of a SIPIC insured account. Most criminal fraud schemes involve intercepting your money before it reaches your account. 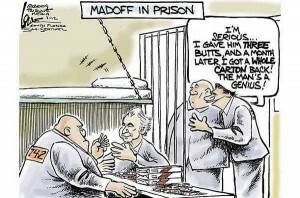 While criminal schemes such as Bernie Madoff’s are relatively rare, that is small consolation to his victims. Recognizing the above warning signs may prevent you from becoming a victim. To learn more about Stuart Berkowitz, visit his site at www.sberkowitz.com. Are FINRA Arbitration Panels Fair?